Pale emerald straw color. 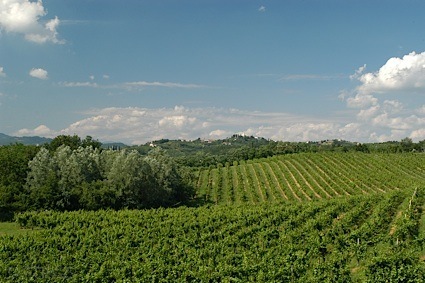 Aromas and flavors of grapefruit sorbet, grass, and floral melon with a supple, tangy, dry-yet-fruity medium body and an effortless, engaging, medium-length finish manifesting shades of clementine and lime marmalade with no oak flavor. A crisp and inviting sauvignon blanc. Bottom Line: A crisp and inviting sauvignon blanc. 86 • BEX 2016 Riesling, Nahe 10.5% (Germany) $9.99. 88 • BEX 2017 Riesling, Nahe 10.5% (Germany) $9.99. 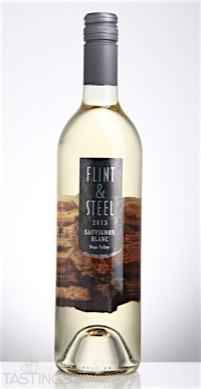 88 • Flint & Steel 2015 Sauvignon Blanc, Napa Valley 13.8% (USA) $14.99. 87 • Flint & Steel 2016 Sauvignon Blanc, Napa Valley 13.5% (USA) $15.99. 85 • Flint & Steel 2017 Sauvignon Blanc, Napa Valley 13.5% (USA) $15.99. 89 • Flint & Steel 2017 Sauvignon Blanc, Napa Valley 13.5% (USA) $15.99. 88 • Four Vines 2013 Cabernet Sauvignon, Paso Robles 14% (USA) $15.99. 86 • Four Vines 2013 Cabernet Sauvignon, Paso Robles 14% (USA) $15.99. 84 • Four Vines 2015 "Naked", Chardonnay, Santa Barbara County 13.5% (USA) $11.99. 88 • Four Vines 2014 Old Vine, Zinfandel, Lodi 14% (USA) $12.99. 85 • Four Vines 2016 Naked, Chardonnay, Central Coast 13.5% (USA) $9.99. 88 • Four Vines 2016 The Maverick, Pinot Noir, Edna Valley 13.9% (USA) $20.00. 91 • Four Vines 2016 The Biker, Zinfandel, Paso Robles 14.5% (USA) $17.99. 88 • Four Vines 2016 The Kinker, Cabernet Sauvignon, Paso Robles 14.5% (USA) $18.00. 87 • Four Vines 2017 Naked, Chardonnay, Central Coast 13.5% (USA) $9.99. 88 • Four Vines 2017 The Form, Chardonnay, Edna Valley 14.5% (USA) $18.99. 86 • Four Vines 2017 The Biker, Zinfandel, Paso Robles 15% (USA) $18.99. 89 • Four Vines 2017 The Maverick, Pinot Noir, Edna Valley 14.5% (USA) $19.99. 87 • Rock Rabbit 2013 Pinot Noir, Central Coast 13.8% (USA) $15.99. Flint & Steel 2015 Sauvignon Blanc, Napa Valley rating was calculated by tastings.com to be 88 points out of 100 on 12/1/2016. Please note that MSRP may have changed since the date of our review.